Submission to the Nuclear Fuel Cycle Royal Commission - Helen Caldicott, M.D. I begin my submission to the Nuclear Fuel Cycle Royal Commission by posting an article which I wrote for the Australian Medical Student Journal, which outlines in some detail the medical implications of the whole nuclear fuel chain. Thorium “fuel” has been proposed as an alternative to uranium fuel in nuclear reactors. There are not “thorium reactors,” but rather proposals to use thorium as a “fuel” in different types of reactors, including existing light‐water reactors and various fast breeder reactor designs. Thorium, which refers to thorium‐232, is a radioactive metal that is about three times more abundant than uranium in the natural environment. Large known deposits are in Australia, India, and Norway. Some of the largest reserves are found in Idaho in the U.S. The primary U.S. company advocating for thorium fuel is Thorium Power (www.thoriumpower.com). Contrary to the claims made or implied by thorium proponents, however, thorium doesn’t solve the proliferation, waste, safety, or cost problems of nuclear power, and it still faces major technical hurdles for commercialization. Thorium is not actually a “fuel” because it is not fissile and therefore cannot be used to start or sustain a nuclear chain reaction. A fissile material, such as uranium‐235 (U‐235) or plutonium‐239 (which is made in reactors from uranium‐238), is required to kick‐start the reaction. The enriched uranium fuel or plutonium fuel also maintains the chain reaction until enough of the thorium target material has been converted into fissile uranium‐233 (U‐233) to take over much or most of the job. An advantage of thorium is that it absorbs slow neutrons relatively efficiently (compared to uranium‐238) to produce fissile uranium‐233. The use of enriched uranium or plutonium in thorium fuel has proliferation implications. Although U‐235 is found in nature, it is only 0.7 percent of natural uranium, so the proportion of U‐235 must be industrially increased to make “enriched uranium” for use in reactors. Highly enriched uranium and separated plutonium are nuclear weapons materials. In addition, U‐233 is as effective as plutonium‐239 for making nuclear bombs. In most proposed thorium fuel cycles, reprocessing is required to separate out the U‐233 for use in fresh fuel. This means that, like uranium fuel with reprocessing, bomb‐making material is separated out, making it vulnerable to theft or diversion. Some proposed thorium fuel cycles even require 20% enriched uranium in order to get the chain reaction started in existing reactors using thorium fuel. It takes 90% enrichment to make weapons‐usable uranium, but very little additional work is needed to move from 20% enrichment to 90% enrichment. Most of the separative work is needed to go from natural uranium, which has 0.7% uranium‐235 to 20% U‐235. It has been claimed that thorium fuel cycles with reprocessing would be much less of a proliferation risk because the thorium can be mixed with uranium‐238. In this case, fissile uranium‐233 is also mixed with non‐fissile uranium‐238. The claim is that if the uranium‐238 content is high enough, the mixture cannot be used to make bombs without a complex uranium enrichment plant. This is misleading. More uranium‐238 does dilute the uranium‐233, but it also results in the production of more plutonium‐239 as the reactor operates. So the proliferation problem remains – either bomb‐usable uranium‐233 or bomb‐usable plutonium is created and can be separated out by reprocessing. Further, while an enrichment plant is needed to separate U‐233 from U‐238, it would take less separative work to do so than enriching natural uranium. This is because U‐233 is five atomic weight units lighter than U‐238, compared to only three for U‐235. It is true that such enrichment would not be a straightforward matter because the U‐233 is contaminated with U‐232, which is highly radioactive and has very radioactive radionuclides in its decay chain. The radiation‐dose‐related problems associated with separating U‐233 from U‐238 and then handling the U‐233 would be considerable and more complex than enriching natural uranium for the purpose of bomb making. But in principle, the separation can be done, especially if worker safety is not a primary concern; the resulting U‐233 can be used to make bombs. There is just no way to avoid proliferation problems associated with thorium fuel cycles that involve reprocessing. Thorium fuel cycles without reprocessing would offer the same temptation to reprocess as today’s once‐through uranium fuel cycles. Proponents claim that thorium fuel significantly reduces the volume, weight and long‐term radiotoxicity of spent fuel. Using thorium in a nuclear reactor creates radioactive waste that proponents claim would only have to be isolated from the environment for 500 years, as opposed to the irradiated uranium‐only fuel that remains dangerous for hundreds of thousands of years. This claim is wrong. The fission of thorium creates long‐lived fission products like technetium‐99 (half‐life over 200,000 years). While the mix of fission products is somewhat different than with uranium fuel, the same range of fission products is created. With or without reprocessing, these fission products have to be disposed of in a geologic repository. If the spent fuel is not reprocessed, thorium‐232 is very‐long lived (half‐life:14 billion years) and its decay products will build up over time in the spent fuel. This will make the spent fuel quite radiotoxic, in addition to all the fission products in it. It should also be noted that inhalation of a unit of radioactivity of thorium‐232 or thorium‐228 (which is also present as a decay product of thorium‐232) produces a far higher dose, especially to certain organs, than the inhalation of uranium containing the same amount of radioactivity. For instance, the bone surface dose from breathing the an amount (mass) of insoluble thorium is about 200 times that of breathing the same mass of uranium. Finally, the use of thorium also creates waste at the front end of the fuel cycle. The radioactivity associated with these is expected to be considerably less than that associated with a comparable amount of uranium milling. However, mine wastes will pose long‐term hazards, as in the case of uranium mining. There are also often hazardous non‐radioactive metals in both thorium and uranium mill tailings. Research and development of thorium fuel has been undertaken in Germany, India, Japan, Russia, the UK and the U.S. for more than half a century. Besides remote fuel fabrication and issues at the front end of the fuel cycle, thorium‐U‐233 breeder reactors produce fuel (“breed”) much more slowly than uranium‐plutonium‐239 breeders. This leads to technical complications. India is sometimes cited as the country that has successfully developed thorium fuel. In fact, India has been trying to develop a thorium breeder fuel cycle for decades but has not yet done so commercially. One reason reprocessing thorium fuel cycles haven’t been successful is that uranium‐232 (U‐232) is created along with uranium‐233. U‐232, which has a half‐life of about 70 years, is extremely radioactive and is therefore very dangerous in small quantities: a single small particle in a lung would exceed legal radiation standards for the general public. U‐232 also has highly radioactive decay products. Therefore, fabricating fuel with U‐233 is very expensive and difficult. Thorium may be abundant and possess certain technical advantages, but it does not mean that it is economical. Compared to uranium, thorium fuel cycle is likely to be even more costly. In a once‐through mode, it will need both uranium enrichment (or plutonium separation) and thorium target rod production. In a breeder configuration, it will need reprocessing, which is costly. In addition, as noted, inhalation of thorium‐232 produces a higher dose than the same amount of uranium‐238 (either by radioactivity or by weight). Reprocessed thorium creates even more risks due to the highly radioactive U‐232 created in the reactor. This makes worker protection more difficult and expensive for a given level of annual dose. The medical consequences of uranium mining are numerous and far reaching. In the past over 50% of uranium miners died of lung cancer as a result of inhaling radon, a gas, and a daughter product of uranium. As well they were exposed to the inhalation and ingestion of radium, a soluble deadly carcinogen discovered by Madame Curie which is a calcium analogue and migrates to bones and teeth where it can induce bone cancer, and leukemia. Because of better ventilation in underground mines the incidence of lung cancer has declined amongst uranium miners, however it is pertinent that Australian uranium miners have never been followed up to ascertain whether they have, and have had a higher than normal incidence of malignancies, and whether their offspring have been affected because their testicles are exposed to gamma radiation – similar to X rays) which is emitted from the uranium ore face. Incidentally face masks do not capture radon as it is a gas. This lack of follow up is a severe omission in government responsibilities which must be remedied. Miners in open cut mines are also exposed to radium in the dust, radon gas in the air and gamma radiation emitted from the ore face. The global nuclear industry is in a state of decline partly as a result of the disastrous accident at Fukushima but also as a result of the rapid expansion of ever cheaper solar and wind power together with conservation. Emerging technologies that may affect the decision for South Australia to invest in the nuclear fuel chain. I include below numerous articles attesting to the economic viability of geothermal power, and wind and solar power in the present and near future. South Australia is perfectly placed to be the world’s most potent renewable energy state, with an abundance of solar, wind and geothermal energy all waiting to be tapped. If this state decided to give a full commitment to renewables, not only would it substantially increase employment and the GDP, but it could become one of the energy superpowers of the world and a shining example of what the world needs. We can have the energy we need without emitting carbon or using nuclear energy. That’s the takeaway from my recent interview with Dr. Arjun Makhijani on Progressive Radio Network (www.prn.fm, “All Together Now”). At the request of the esteemed Dr. Helen Caldicott, Dr. Makhijani did the first analysis of the technical and economic feasibility of transitioning to a U.S. economy based completely on renewable energy, with no carbon dioxide emissions and no nuclear energy. Despite his own initial skepticism, his research led him to conclude, Yes, we can do this. Dr. Makhijani lays out the path forward in his book, Carbon-Free and Nuclear-Free: A Roadmap for U.S. Energy Policy. 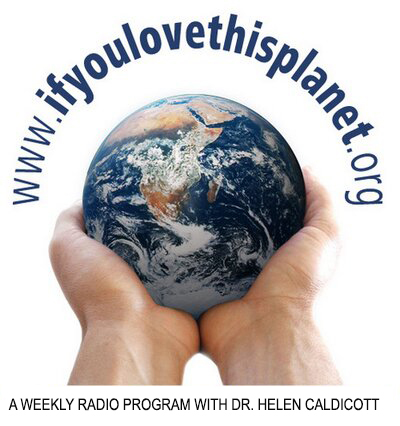 I recently interviewed Dr. Makhijani on my radio show on Progressive Radio Network. He earned a Ph.D. in engineering (with specialization in nuclear fusion) from the University of California at Berkeley, then went on to warn people about the dangers of nuclear energy. 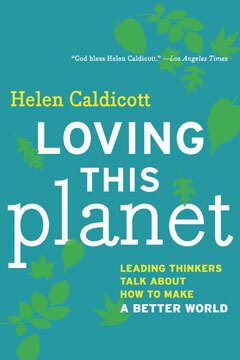 When Dr. Caldicott asked him to write a book on meeting our energy needs without carbon pollution or nuclear power and offered to raise the money to do it, he was skeptical it could be done, thinking it would be too expensive. I asked him what he discovered in his research that made him believe it is possible. He replied: “We are in the midst of a technological revolution that is making renewables more economically feasible. We can make this happen.” Since the book was published, the pace of technology change has continued to accelerate. – Wind power has been economical for years. In 2006, solar electric was five times more expensive than it needed to be to compete as a source for home energy, but it is becoming competitive. – As demand goes up, the cost of production goes down: manufacturers can shift from custom-made to larger scale production. The price of silicon needed for solar cells is down. A few years ago, you’d pay $4 a watt for a solar panel, now it’s 70 cents a watt. Demand for renewables is coming from many directions. After the Fukushima nuclear disaster, Japan increased its use of renewables, and is now the second largest market for solar energy, bigger than the U.S. Among the largest buyers of solar electricity in the US is that great bastion of radicals, the Pentagon. They are also leading in alternative energy. It makes sense, given that the military understands our vulnerability to disruption in oil supplies: if our oil supply were cut from the Mideast and elsewhere, we’d need renewables to ensure enough stable energy at home. Of course, climate is a security issue: more extreme weather increases the need for more domestic energy supplies. Demand for renewables is also coming from the states which are leading this energy revolution. States from California to Maryland are passing incentives and lifting standards that increase demand for renewables. -Mandate more efficient cars. We’re doing and need to do more. Cars have been made that get 200 miles per gallon; we can have a standard of 100 mpg by 2030. Push plug-in hybrids. -Increase efficiency standards for appliances. Some existing standards are proceeding well. A refrigerator used to consume 1800 kw-hours per year; today you can buy a larger, better performer that uses only 400 kw- hours per year. A 100-watt bulb today of good quality uses 1/5 or 1/7 the electricity of an incandescent lamp. But standards for air conditioning and heating are lagging far behind available technology. -Fix existing buildings. Most old buildings are not well-insulated and waste lots of energy. When a house is sold, we could mandate that buildings meet a certain standard of energy efficiency, like fire codes and electrical safety standards. We can do it, but it’s not required, so it’s not being done at the level we need. Some people don’t like regulations, but they can work well. I was a staff member of the Energy Policy Project of the Ford Foundation during the 1973 energy crisis. Our report became the basis of President Carter’s energy policy. Today we use less than half of the energy we thought we’d use by now: energy use has not grown much, but the economy is 2-3 times bigger. So that’s good progress. We’d be in even better shape if the U.S. hadn’t dropped the ball on energy policy in the 1980s. Since Carter, we haven’t had a coherent overall energy policy, so we tend to scatter limited resources on bits and pieces. – Stop subsidies and tax breaks for fossil fuels and the nuclear industry. – Stop subsidies for biofuels. – Use government buying power to encourage the development of renewable supply technologies. – Ban new coal fired plants. Dr Makhijani is generously giving away free digital copies of his important book, Carbon-Free and Nuclear-Free: A Roadmap for U.S. Energy Policy on his website, ieer.org. Now that’s some holiday cheer. Costs are down, profits are up, and renewable energy is contributing an increasing amount of electricity to the world’s energy grids, according to a report published Monday by the United Nations. With that information in mind, governments must now “re-evaluate investment priorities, shift incentives, build capacity and improve governance structures” to shift towards a green energy system, the authors urge. The report, conducted by the United Nations Environment Programme (UNEP) and Bloomberg New Energy Finance, reveals renewable energy sources such as wind and solar are showing “many positive signals of a dynamic market that is fast evolving and maturing,” stated Achim Steiner, the U.N. under-secretary-general and executive director of UNEP. “While some may point to the fact that overall investment in renewables fell in 2013,” said Steiner, this is actually largely because less money was needed to run the industry, whose costs continue a downward trend. “This should give governments the confidence to forge a new robust climate agreement to cut emissions at the 2015 climate change conference in Paris,” said Steiner. “A long-term shift in investment over the next few decades towards a cleaner energy portfolio is needed to avoid dangerous climate change,” said Steiner. Nuclear power plants, whatever their design, can never be made safe – they are at risk because of human fallibility (causes of Chernobyl, Three Mile Island), computer error, hacking, loss of external electricity supply, results of global warming with sea level rise or tsumamis with flooding of the control room, hurricanes, heating of water supplies such as occurred in France some years ago when the river water was too hot to cool the reactors. 1000 megawatt reactors require up to one million gallons per minute to keep them cool. Below is a presentation by a very experienced nuclear engineer named Arnie Gunderson re the risks of another nuclear accident. Now the medical consequences of Fukushima and Chernobyl are very important for the Royal Commission to examine. 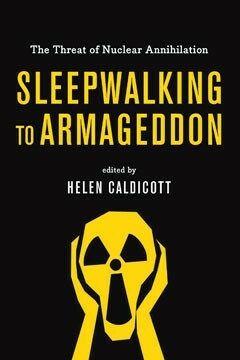 A major nuclear accident contaminates large numbers of people, land and food inducing diseases for millennia to come. Nuclear accidents never end. Nuclear wastes are multifactorial and are composed of many different radioactive isotopes, some which last seconds and others which remain radioactive for millions of years. Radioactive elements are carcinogenic, mutagenic, and can cause a variety of diseases including cancers of all organs, leukemia, birth deformities and genetic diseases of which there are now over 2600 described, such as diabetes, cystic fibrosis, haemochromotosis, haemophilia etc. Long lived radioactive elements will over time migrate from any container or waste repository, enter the water system and from there migrate and concentrate by orders of magnitude at each step of the food chain, as described above in my opening article of this submission. No container, be it steel, titanium, concrete etc lasts longer than 100 years and furthermore we will not be around to see the medical effects of our devotion to nuclear power and all things nuclear. That is for future generations to experience, this is the nuclear heritage we leave to them. I have described the risks involved by establishing nuclear facilities for the generation of electricity from nuclear fuels above. Nothing can be done to ensure that the risks described above can be prevented, as there are no safe levels of radiation, each dose of radiation is cumulative, and the nuclear fuel chain will continue to contaminate the environment and human bodies with increased levels of radiation for the rest of time. And this generation will be long gone. Numerous models and designs for Generation 1V reactors have been mooted recently for South Australia. Now that the “nuclear renaissance” is dead following the Fukushima catastrophe, when one sixth of the world’s nuclear reactors closed, the nuclear corporations — Toshiba, Nu-Scale, Babcock and Wilcox, GE Hitachi, General Atomics, and the Tennessee Valley Authority — will not accept defeat. Their new strategy is to develop small modular reactors (SMRs), allegedly free of the dangers inherent in large reactors: safety issues, high cost, proliferation risks and radioactive waste. But these claims are fallacious, for the reasons outlined below. Basically, there are three types of SMRs, which generate less than 300 megawatts of electricity compared with current 1,000-megawatt reactors. These will be smaller versions of present-day pressurized water reactors, using water as the moderator and coolant, but with the same attendant problems as Fukushima and Three Mile Island. Built underground, they will be difficult to access in the event of an accident or malfunction. Because they’re mass-produced (turnkey production), large numbers must be sold yearly to make a profit. This is an unlikely prospect, because major markets — China and India — will not buy U.S. reactors when they can make their own. If safety problems arise, they all must be shut down, which will interfere substantially with electricity supply. SMRs will be expensive because the cost per unit capacity increases with a decrease in reactor size. Billions of dollars of government subsidies will be required because Wall Street is allergic to nuclear power. To alleviate costs, it is suggested that safety rules be relaxed, including reducing security requirements, and reducing the 10-mile emergency planning zone to 1,000 feet. These include high-temperature gas-cooled reactors (HTGRs) or pebble-bed reactors. Five billion tiny fuel kernels consisting of high-enriched uranium or plutonium will be encased in tennis-ball-sized graphite spheres that must be made without cracks or imperfections — or they could lead to an accident. A total of 450,000 such spheres will slowly and continuously be released from a fuel silo, passing through the reactor core, and then recirculated 10 times. These reactors will be cooled by helium gas operating at high very temperatures (900 degrees C). A reactor complex consisting of four HTGR modules will be located underground, to be run by just two operators in a central control room. Claims are that HTGRs will be so safe that a containment building will be unnecessary and operators can even leave the site (“walk-away-safe” reactors). However, should temperatures unexpectedly exceed 1,600 degrees C, the carbon coating will release dangerous radioactive isotopes into the helium gas, and at 2,000 degrees C the carbon would ignite, creating a fierce, Chernobyl-type graphite fire. If a crack develops in the piping or building, radioactive helium would escape, and air would rush in, also igniting the graphite. Although HTGRs produce small amounts of low-level waste, they create larger volumes of high-level waste than conventional reactors. It is claimed by proponents that fast reactors will be safe, economically competitive, proliferation-resistant, and sustainable. They are fueled by plutonium or highly enriched uranium and cooled by either liquid sodium or a lead-bismuth molten coolant. Liquid sodium burns or explodes when exposed to air or water, and lead-bismuth is extremely corrosive, producing very volatile radioactive elements when irradiated. Should a crack occur in the reactor complex, liquid sodium would escape, burning or exploding. Without a coolant, the plutonium fuel could reach critical mass, triggering a massive nuclear explosion, scattering plutonium to the four winds. One millionth of a gram of plutonium induces cancer, and it lasts for 500,000 years. Extraordinarily, they claim that fast reactors will be so safe that they will require no emergency sirens, and that emergency planning zones can be decreased from 10 miles to 1,300 feet. There are two types of fast reactors: a simple, plutonium-fueled reactor and a “breeder,” in which the plutonium-reactor core is surrounded by a blanket of uranium 238, which captures neutrons and converts to plutonium. The plutonium fuel, obtained from spent reactor fuel, will be fissioned and converted to shorter-lived isotopes, cesium and strontium, which last 600 years instead of 500,000. The industry claims that this process, called “transmutation,” is an excellent way to get rid of plutonium waste. But this is fallacious, because only 10 percent fissions, leaving 90 percent of the plutonium for bomb making, etc. Then there’s construction. Three small plutonium fast reactors will be grouped together to form a module, and three of these modules will be buried underground. All nine reactors will then be connected to a fully automated central control room operated by only three operators. Potentially, then, one operator could face a catastrophic situation triggered by loss of off-site power to one unit at full power, another shut down for refueling and one in startup mode. There are to be no emergency core cooling systems. Fast reactors require a massive infrastructure, including a reprocessing plant to dissolve radioactive waste fuel rods in nitric acid, chemically removing the plutonium, and a fuel fabrication facility to create new fuel rods. A total of 15 to 25 tons of plutonium are required to operate a fuel cycle at a fast reactor, and just five pounds is fuel for a nuclear weapon. Thus fast reactors and breeders will provide extraordinary long-term medical dangers and the perfect situation for nuclear-weapons proliferation. Despite this, the industry plans to market them to many countries. These questions are best addressed by the following film, and I suggest that everyone on the Royal Commission watch this extraordinary documentary to ascertain the gravity of burying radioactive waste in South Australia be it Australian waste or indeed the world’s nuclear waste. This waste would obviously be buried on Aboriginal land, near or over the Great Artesian basin, the life-blood of central Australia. There has never been and will never be a scientifically guaranteed method for isolating long lived carcinogenic nuclear waste for the ecosphere for one million years – the current requirement on the US Environmental Protection Agency. For example, Yucca Mountain in Nevada which has been mooted to store US high level waste is composed of pumice and thus is highly permeable to water, it is transected by several earthquake faults, one of which is called the Ghost Dance, and it also overlies the aquifer that supplies Las Vegas. There is no container whether it is steel, concrete, titanium etc that will last for over one hundred years, so the notion of storing radioactive waste isolated from the ecosphere for one million years is pure fantasy. Transportation accidents occur every day whether on roads, freeways or railways. Here are just some examples of accidents involving radioactive cargos. I can reassure you that this outstanding and well deserved reputation would almost certainly be severely impaired if South Australia decides to embark upon a major industrial undertaking of the nuclear fuel chain together with nuclear reactors, enrichment facilities, reprocessing plants and radioactive waste storage. In fact from my experience communicating with knowledgeable people all over the world, the reputation of Australian food in general would also suffer. 1) Of the four “areas of activity that form part of the nuclear fuel cycle” that the Commission is presently investigating, three do not exist presently in any form or shape in Australia, and apart from their possible negative effects on public health and the environment that Dr. Caldicott has noted in her submission, would only imply massive investments using taxpayer’s money with zero positive effects for the Australian economy. Also note that such investments with no rational basis would detract from the much more urgent investments required in renewables to reduce emissions and avoid the more catastrophic consequences of global warming. 2) The single “area of activity” that presently exists in Australia, uranium mining, represents approximately 0.1% of total Australian exports in value. Dr. Caldicott could easily provide ample data about the negative health effects of uranium mining on miners and rural or urban populations at various distances from uranium mines, and about the extreme environmental hazard of uranium tailings and dams holding huge volumes of contaminated water resulting from uranium mining and pre-processing. I would just additionally suggest that the Australian nation and economy could easily do without uranium mining altogether and very easily replace this 0.1% of its exports by a small expansion of some other kind of exports with higher value added and better paid workers (for example, software, movies, music, engineering services, etc). I believe it’s important to clarify for non-Australians what exactly is at stake here and why Dr. Caldicott’s submission to the Nuclear Fuel Cycle Royal Commission is so important. “The Nuclear Fuel Cycle Royal Commission was established by the South Australian Government on Thursday, 19 March 2015 to undertake an independent and comprehensive investigation into South Australia’s participation in four areas of activity that form part of the nuclear fuel cycle. – Uranium enrichment, and reprocessing of spent nuclear fuel. None of these activities are currently conducted in Australia. The ecological impact of these activities is highly questionable. One may refer to the issues with the on-going decommissioning of the Hanford and Paducah nuclear fuel processing sites in the US or similar Sellafield site in England (material is widely available on the internet). On a purely economic/profitability basis, in a civilian context these activities are also highly questionable (they were massively funded during the Cold War mainly with the purpose of producing weapons-grade fissile materials). – Nuclear power plants for electricity generation. Again, on a purely economic/profitability basis, this is by now (2016) a moot issue: nuclear is more expensive per kWh than either wind or solar with storage, as any investor in electricity generation that has done his homework can confirm. There is no rational basis for the construction of any nuclear power plant in Australia. – Nuclear waste storage and disposal. In other words, this would mean other countries shipping their nuclear waste to Australia to be dumped somewhere in the Australian Outback. I cannot fathom what angle the Commission or any other Australian government body would use to present this to the Australian people for serious consideration.